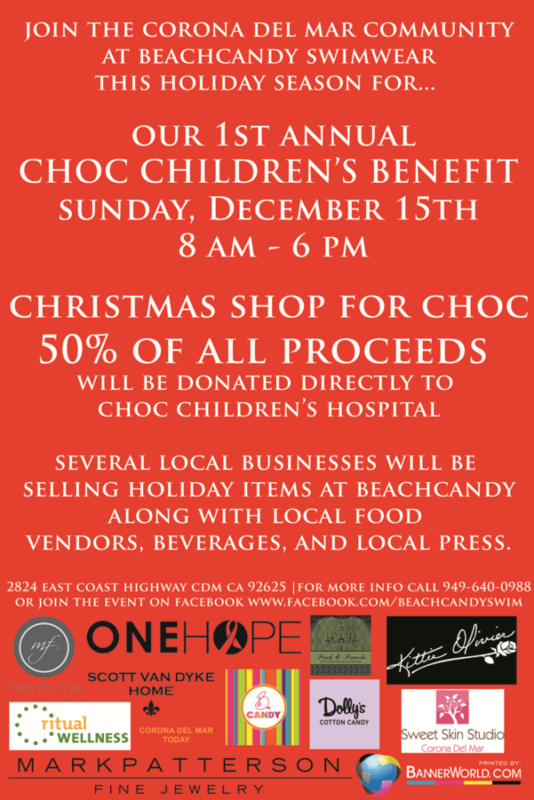 Get in the Holiday Spirit! 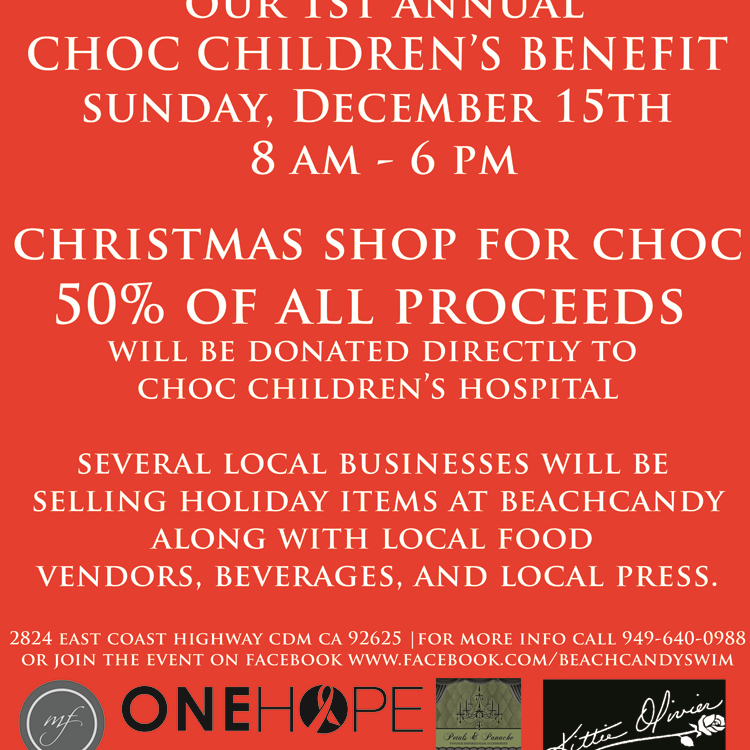 Kittie Olivier Salon and Spa is to be participating and supporting the 1st annual Choc Children’s Benefit on December 15th at BeachCandy Swimwear CDM! Come and join us!